There are SO MANY learning experiences that educators facilitate and witness with their students. It can be fulfilling to live AND capture the learning process along the way…whether it may be through pictures, videos, student samples, etc. What happens to those pieces after the experience is completed? They deserve to be celebrated and shared ALL together! As educators we can clearly see connections to learning, but the process as a whole may not be transparent to students, and especially their families. An option to meet this need of bridging connections together is to create Extended Learning Experiences. These Extended Learning Experiences may not only be made to reflect on a culminating experience or special project, but can also serve as an anticipatory set for students and families to think about before learning takes place for the week. Below is a screencast of Jessica Twomey sharing more on this process, as well as the menu board of examples she used in her screencast. Have an idea for documentation in mind, but be open to change. At the beginning of the week or experience, you may have some ideas about where your extended learning experience may be heading based on the area of focus or featured activities that can lend themselves to visual documentation. HOWEVER, as the week or project unfold, you may be steered in a different direction and that’s okay! Consider the pieces of documentation you have and be open minded! Let the kids contribute! While you may be capturing the kids working in action, allow the pieces of THEIR documentation to be included in the Extended Learning Experience. The work of creating an Extended Learning Experience is a COLLABORATIVE EFFORT between kids and teachers. This can be the students’ work samples, or even their digital documentation if they are using platforms like Seesaw to capture their learning. Bringing kids’ work into the Extended Learning Experience gives their efforts a SPECIAL acknowledgement, and can help THEM see the value in what they are doing. They can see their work going beyond the walls of the classroom, and into their homes with the families. When you take the time to help kids bridge their connections, they will be able to COME BACK and resurface what they have learned to apply their gained knowledge to the next experience. Select a home for all of your Extended Learning Experiences. 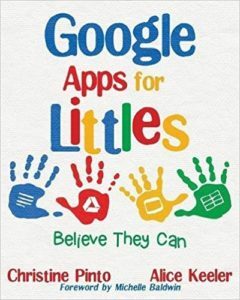 This can be on a class website you have, a folder in your Google Drive, or even a folder on a platform like Seesaw. The value with using a tool like Seesaw, is that you can communicate with families when a new Extended Learning Experience is ready, and they can COMMENT BACK with their children. Moreover, when you create a folder and tag the Extended Learning Experience with a folder, you can come back to them to be able to locate and reference them again at another time. Enjoy the Process! Of course something like this takes time! What YOU facilitate in the classroom and the GAINS your students have are WORTH celebrating! No one knows the process and learning connections that get bridged like you do as the facilitator of it all. 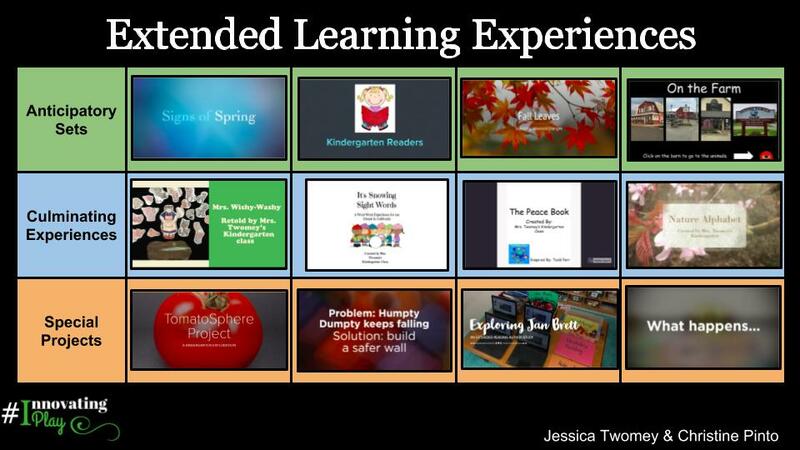 Extended Learning Experiences not only let us share with families, they GUIDE our instruction. You can discover MORE when you take the time to synthesize all that learning that has happened . Reflection makes us better learners, and better teachers. It is a win-win for everyone. 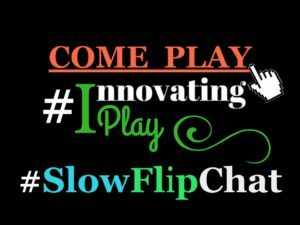 This entry was posted in Innovating Play by Christine Pinto. Bookmark the permalink.